Trump’s Acting AG refuses to testify unless Congress gives up its subpoena power! This Trump thug needs to be read the law. Congress should subpoena him and begin by explaining to this man, Trump’s head of the Justice Department, that any false statements will mean perjury. Posted 07 Feb 2019 by theaveeditor in Misc. ← THE VIRGINIA SCANDALS: Will the Real Hamilton Please Now Stand UP? The House could, if there is enough political will. It is by no means unusual for witnesses to posture, and to negotiate. The assistant AG could eve show up and refuse to answer questions, or cite executive privilege. In the end he could spend 10 days in jail for contempt, but that does not mean Congress will get the information it seeks. Though the opportunity for Congress to also eat cake exists. And it is amusing to think that the acting AG could be asked by Congress to initiate a grand jury to show probable cause against him. 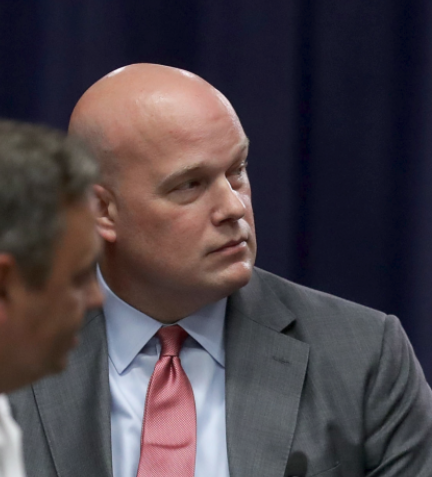 He could declare himself a ham sandwich, and this ham sandwich is innocent, or there is no cause for Congress to go after the AG for contempt as they would be violating separation of powers and all that.